Yes, we all knew that the 3DS was real, but it wasn’t really real until Nintendo gave us a release date or information about games or pricing. And all of that happened last night while you were asleep! They are sneaky like that. Like information ninjas. 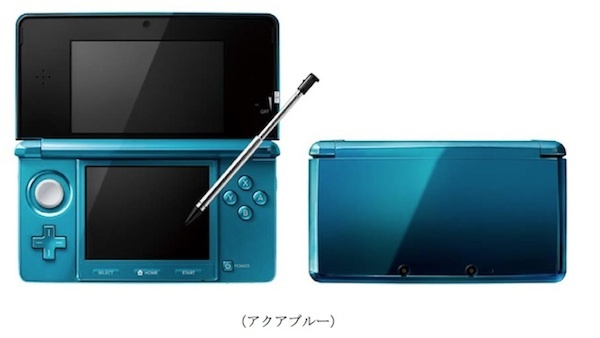 The big news is that the 3DS will launch in Japan on February 26 of 2011. The rest of the world gets the shiny thing in March. Unfortunately, no one has a specific date for the rest of the world, that will be announced later on down the line, after everyone has had enough time to be angry with Japan for getting it first. These dates shatter the hopes and dreams of millions who thought that just maybe the 3DS was farther along and would hit the world stage in November, as most Nintendo consoles have in the past. Oh well, at least this may mean that there will be plenty of time for developers to get together tons of games. TONS I SAID. But will you even be able to buy those tons of games? Not only did Nintendo tell us that we can’t play with the 3DS for a while, but they also told us how cost prohibitive it would be. In Japan, where money sounds crazy, the device will retail for ¥25,000. That supposedly comes to about $300, or, for those keeping track, $50 MORE than the Wii at launch in 2006. Let’s hope the economy gets back into full swing by then! The Nintendo 3DS comes bundled with a charger stand (above), an AC adapter, a 10cm Nintendo 3DS touch pen, a 2GB SD card, six augmented reality cards as well as instruction booklets. Of interest in that video is the charging stand. It looks like you can just slap the 3DS on that puppy and charge the heck out of it. Wizard! It seems that you can also take a picture of your grandfather and blow his mind when it creates a Mii out of him. Just remind him that you did not, in fact, steal his soul. Even with that fancy blur filter, you will notice some staples of the Nintendo realm showing up. Animal Crossing, Mario Kart, the Kid Icarus we saw at E3, Pilotwings, Star Fox, Zelda: Ocarina of Time, just to name a few. Paper Mario is coming to the system in some form and he apparently will be packing a frog suit. A FROG SUIT, PEOPLE. This is cause for great rejoicing. Resident Evil looks smashing. Street Fighter IV is in there, as is Dead or Alive. And let’s not forget Professor Layton. The system will have some great games, to be sure. Let’s hope they are $50 a pop! Let’s give all of our money to Nintendo! Speaking of games, who likes old games? Apparently there will be a marketplace for Gameboy, Gameboy Color, and Gameboy Advanced games! Yeah! Now you can have a copy of Link’s Awakening since you lost your original back in 1997. And there you have it. There is still more to learn about our little 3D friend, but this will do for now. On a personal note, I really hope Nintendo hurries up with the in store demos. Not only do I wish this for purely greedy “I want to play more 3DS” needs, but the customer really needs to see it in action to understand the full effect of the hardware. And if the device does launch at $300 or even $250, easy access to try it out will be paramount.